Black Diamond are award winning brakes! The black diamond Disks come in either drilled, grooved or combi designs and with their matched Black Diamond Predator brake pads they are provide outstanding braking performance. Pagid RS Brake pads are the brake pads that the leading sports car manufacturers turn to when they want a no compromise brake set up on their latest high performance models and are original equipment to Audi RS4 + 6, Porsche Carrera GT, Aston Martin DB9, Koenisgegg CCX and ALL new Ferrari models! BC Racing's advanced range of coilover systems are taking the UK by storm. With choices of inverted dampers / external resevoirs and applications for many vehicles including the Skyline and Lancer Evo BC Racing coilovers are the ideal choice for any serious tuner. 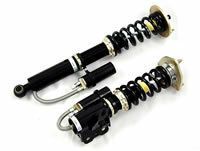 ï¿½100 Extra Discount on Spax RSX Coilovers!! Spax RSX kits are height and 28 stage bump and rebound adjustable, and are unbeatable value for money! Competition Clutch is the fastest growing performance clutch company in North America. Competition Clutch specialises in manufacturing uprated clutch kits for everything driver, from street driven to full race applications. Welcome to the DCPerformance website. We currently have nearly 1/2 Million performance car parts, car tuning and car styling products available to order online. We watch our competitors prices and make sure that our car parts are cheaper so you don't have to shop around when you are looking for your performance exhausts or induction kits, you can buy in confidence from DCPerformance Ltd.
We are an online performance car parts company based in Bedfordshire. 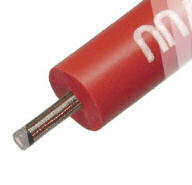 We have been trading since 2001 and incorporated in 2010. We are authorised main dealers for all the serious performance brands in the car tuning industry including Bilstein, BC Racing, K&N, BMC, Koni, Eibach, Mongoose, H&R, Blitz to name but a few. We have a vast range or performance exhausts, uprated suspension, engine tunin, vehicle styling and alloy wheels, all available to order online. We operate primarily online, but we also offer mobile vehicle security and car audio installations to the Bedfordshire area including Thatcham car alarms and immobilisers. What do we know about car and engine tuning? DCPerformance was founded through a love of all things car. From early days tuning A series engines in Mini's and Metro's our MD was never happier than when elbow deep in oil under a bonnet, or two. We have expert staff have many years experience in car tuning and modifying with areas of expertise including performance exhaust systems and fitting, suspension modifications and handling improvements and engine tuning and performance parts. We have an extensive telesales team available to ensure that we never miss your call. We also have skilled retrimmers in house to add that extra personal touch to your cars interior. Basically, if you could want it for you car, we can do it. What happens when I order performance car parts from DCPerformance? When you place an online order with us, one of the team processes the order within an hour from 9:00am to 8:00pm 7 days a week. We keep fast moving items on the shelf, the rest of our catalogue is dispatched directly from our suppliers to you to minimise delivery times. This means that for most of our car parts, they can be delivered next day. You will be either emailed, or telephoned with updates about your order and if there are any delays then one of the team will advise you shortly after your order has been placed, so you should always know what the status of your order is. You can also check it online in your account section.